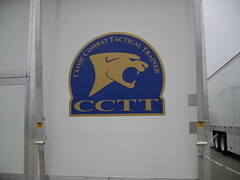 This is the Close Combat Tactical Trainer (CCTT), also known as the Army's $70Million+ Training Facility. I like to call it an expensive video game (and it needs an update)! 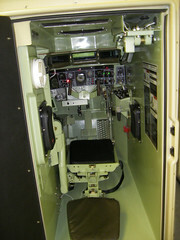 It is used for combat training, but we modify it for use for convoy tracking. 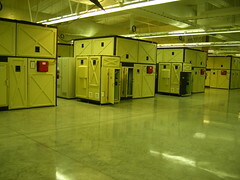 In these pictures you will see the facility with big white boxes. 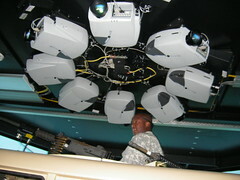 Those are pods (or vehicle simulators). 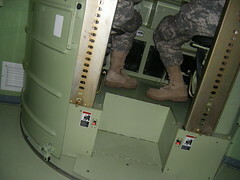 Inside the pods that you will see are what it looks like in the actual vehicles! 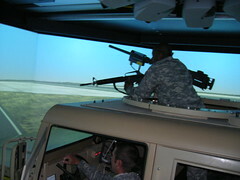 What I believe I have included is both the Bradley (M2A2) and the RVS (reconfigurable vehicle system, looks like a HMMWV [pronounced hummvie]). 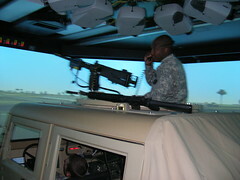 On top of the RVS is a .50 cal machine gun. 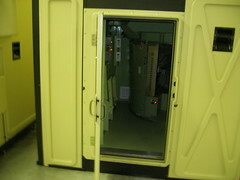 They replace windows or your view with screens that show the simulator. 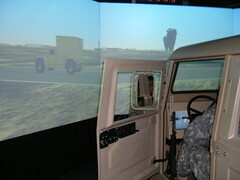 This is a picture of the infantry simulator. 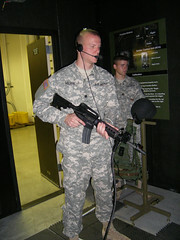 Out in a real situation soldiers would have a lot more gear on them. 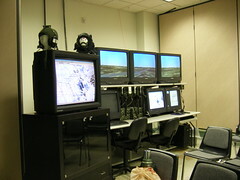 The above pictures are of the control center where a civilian and those observing monitor everything that is happening. 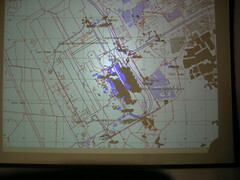 It is the same area that is used for a retrospective. 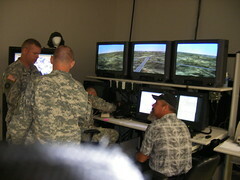 The Army calls it the After Action Review, or AAR.